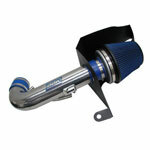 Borla Exhaust 11791 - Borla Mustang GT ATAK Axle-Back V8; 2011-2012. BORLA ATAK (Acoustically Tuned Applied Kinetics) technology is designed for high-performance purists who prefer exhaust sound over their stereos. 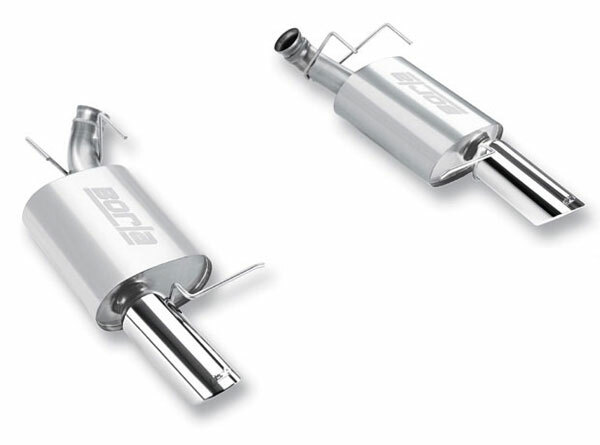 ATAK-equipped exhaust systems deliver the highest available dB (decibel) levels in the BORLA street-legal lineup. And unlike inferior brands that lose significant sound quality at higher volumes, ATAK is tuned like a graphic equalizer to shape and focus sound waves for optimum high-volume output. ATAK technology is based on specifically-tuned attributes of the internal muffler cores, which are calibrated on a vehicle-by-vehicle basis to deliver the most desirable sound. The power of BORLA Multicore technology, with the sound of vehicle-specific acoustic tuning!